Lawyers for Animals have sent in this very interesting submission to the Victorian Inquiry into the RSPCA. 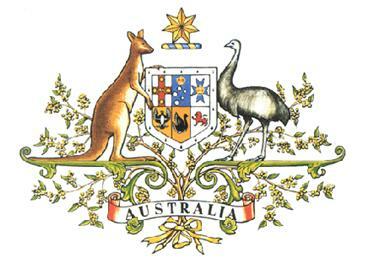 (See link to inquiry here: "RSPCA Vic Inquiry about to close but you could make a late submission".) It will be helpful to some of you who want to make submissions and generally informative about the role and duties of the RSPCA. Basically it argues for a new dedicated Animal Cruelty Investigation Squad (or similar) within Victoria Police and the removal of the RSPCA's Inspectorate powers and funding, permitting it to refocus on animal care and to engage in public advocacy for animal welfare. Among the reasons given are that the RSPCA has not got the funding to attend to the thousands of complaints it receives and that it lacks financial indemnity against being sued. The submission mentions a case where the RSPCA was recently sued for over $1m in farm losses, which has caused it severe financial problems. We have republished this interesting and useful submission from Lawyers for Animals with some slight changes to layout but none to content. Letter from Australian Wildlife Protection Council to RSPCA: "We seek your help to insist that appropriate action be taken against the perpetrators of cruelty committed vs a Fraser Island Dingo. Freedom of Information reveals Dingo Necropsy Report of a cruel horrific death on a healthy male dingo. This cruelty has been dismissed. The tragedy was entirely preventable and is this not what the RSPCA is all about? Prevention of Cruelty to Animals?" Thanks to the Habitat Advocate for the photograph. RSPCA Petition against Shooters Party Bill needs your support now! Field & Game Australia is emailing all of its members to vote to beat an RSPCA petition opposing the NSW Shooters Party bill. Read more about RSPCA Petition against Shooters Party Bill needs your support now! 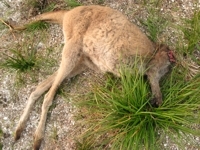 Professor Steve Garlick writes that he has received a disturbingly poor account from the RSPCA of their supervision of the mass killing of kangaroos in the ACT.